We are Hampton Roads' premier Polynesian entertainment source, providing an authentic, professional experience captivating audiences with a visual tour of the Polynesian islands. We are dedicated to providing an ultimate experience for you and your guests to enjoy the beauty of Polynesia. With years of experience, we have designed a program that works for every event and we can customize your event with every budget in mind. 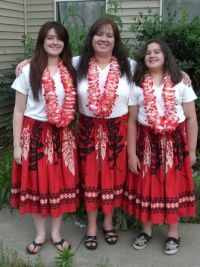 Polynesian Dance Studio entertainment is perfect for any event! Let us bring the islands to you! We would love to dance for you. 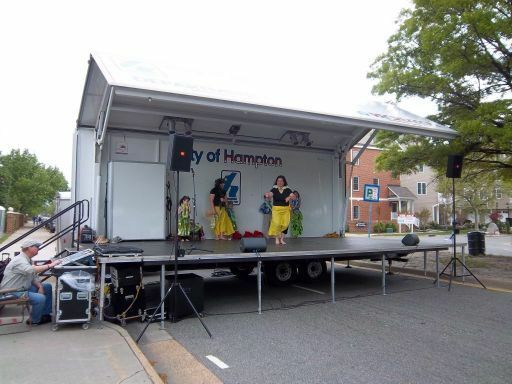 We perform in both public and private events. We will make your event a memorable one. Let us bring the islands to you! We dress in authentic island costumes tailored for your event. In July and August 2010, we performed at the Great Wolf Lodge Racoon Lagoon Hawaiian lu'au nights on Fridays from 7 to 9 pm. We do things Hawaiian-style. 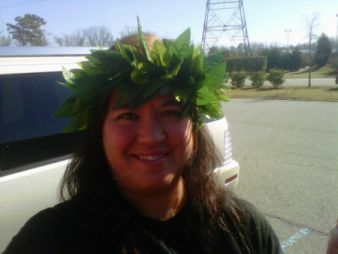 Hula is our life and what we do as an 'ohana (family). I am great with all age groups. I am especially kind and patient with children. :] I am a mom to 5 children, I am a school volunteer, and I have also been a Girl Scout leader and volunteer for the past 11 years. I am American Red Cross First Aid and CPR certified and I have had background checks with the Girl Scout Council of Colonial Coast, York County Parks and Recreation, and the City of Newport News Parks, Recreation, and Tourism. My husband is a senior design engineer and has active security clearance. Safety and security are number one with us. We have great references. 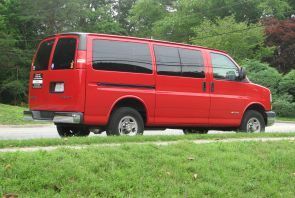 Look for our red van! 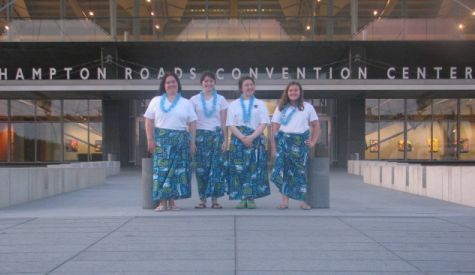 We are the one and only "Traveling Hula Show." These show packages are provided as a guide. We can also customize a package to fit your needs. All performances are family-friendly. We wear modest, authentic costumes and have . This is a hands-on hula package where guests leave having learned one hula dance, learn about the Hawaiian culture, and use hula implements. 30 minute performance - includes dances to romantic songs perfect for weddings, such as "Love and Honesty," "Sweet Anela" (which means sweet angel), and "Somewhere Over the Rainbow/What A Wonderful World"
We will be there at the confirmed time, but we do charge $50 per hour for any delay. 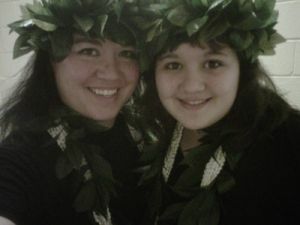 * Lei Greeting: 30 to 60 minutes of lei greeting by our hula dancers in traditional costumes prior to your event. 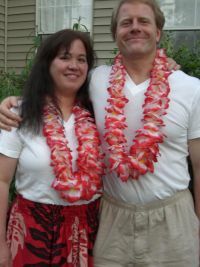 Add $50 per 30 minutes or $75 per hour/ client supplies the leis. * Games Package : 30 to 60 minutes of party games, such as tropical limbo, hot coconut, musical towels, hula hoops, etc. Add $35 for 30 minutes or add $50 for 60 minutes. * Hawaiian Arts and Crafts Package: 30 to 60 minutes of Hawaiian arts and crafts. Prices vary and depend on the amount of guests. * Party Dance Package : 30 minutes of favorite party dances led by our hula dancers, such as the electric slide, cha cha slide, macarena, chicken dance, etc. Add $25. 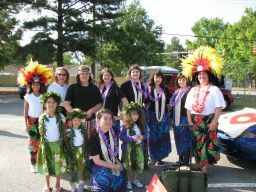 We also offer Praise Dance (hula dancing to Christian music) and children's parties. I also offer a complimentary Christian prayer in the Hawaiian language for all events by request only. Dance area must level and be safe with no glass or sharp objects. There must be enough space to accommodate the number of dancers at the performance. Please have dance area designated and noted to me prior to our arrival or prior to our performance. Please make sure there is an electrical outlet or long extension cord available near dance area for the music unless you are providing stereo equipment. If dance area is near pool or other area with water, please make sure that there is a dry spot to perform. Please note: Any damage caused to dancers' costumes and/ or implements will be charged to the client. Changing room should be as close to peformance area as possible. It may be a restroom or washroom, but if it is available to the public then we must have a reserved stall. Dancers perform to songs provided on a CD. Client may provide a CD player/boombox or professional audio equipment or we can provide our own CD player/boombox. If audience participation is planned, a microphone would be very useful. We recommend that you book your event as early as possible as dates can fill up quickly. Once you have picked out a date, call us for availability. If the date is available, a $50 non-refundable deposit is charged. Upon arrival at your event, the balance is due. If the event is less than a week from date of confirmation via phone or email, then payment is due at the event. Please mail your deposit to 'Ohana Arts Studio, 12388 Warwick Blvd, Suite 112, Newport News, VA 23606. Clients will receive a quote by phone and/or via email. You will also receive an invoice enumerating cost and a total fee. A non-refundable deposit of $50 is required to reserve your event date and time or you may pay in full. You may make payment via money order, personal check, or cashier's check made out to 'Ohana Arts Studio. The deposit must be paid 1 week in advance to allow time to clear. Receipts are given upon request. An agreement of services will be mailed or emailed to you. Cancellation within 72 hours of booking will be charged 25% of the agreed fee for loss of other opportunities. However, your event may be rebooked based on availability and as long as it does not conflict with existing events. Your $50 deposit will not be refunded if you cancel your event within 10 days of scheduled performance date. Your deposit will be refunded, less the $50 administrative fee, if your event is cancelled at least 11 days prior to your event. A $25 fee will be applied to all major changed within 10 days of your event. For example, change of location, change of date, change of time (over 30 minutes), etc. Each event may be customized to your needs. Please contact me for more information. Mahalo! I look forward to hearing from you. Mahalo nui loa na ho'olaule'a me la kaua!